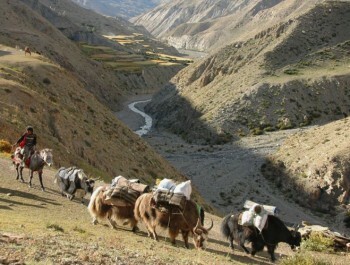 Dolpo Region/ North West of Nepal Trek. 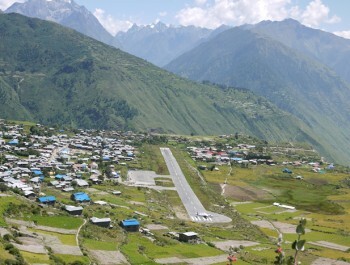 Dolpo region is the most remote and least developed district in Nepal. Although a few anthropologists and geographers had explored the region, the entire district was closed to trekkers until 1989 when the southern part of Dolpo was opened to organized trekking groups. Peter Mathesons book - The Snow Leopard and Snell grove - Himalayan pilgrimage have contributed to the mystique and attraction of Dolpo. Dolpo region situated between the Tibetan plateau and the Dhaulagiri Himalayan range is the highest inhabited land of Dolpo. Geographically a southern extension of Tibet, it lies within the borders of the state of Nepal, since 1984 has been the countrys largest national park and conservation, the park sustains an abundance of wild life including Musk Deer, Himalayan Blue Sheep and the legendary elusive Snow Leopard, as well as being home to a fascinating race of Tibetan speaking people. The hardy highlanders of Dolpo are traders, exchanging barley for Tibetan rock salt and they take their yaks onto the Tibetan plateau during the summer for grazing. Nepals first English subtitled movie on Dolpo -The Caravan- or -The Himalaya- was a huge success and was nominated for the Oscar Award in the best foreign language film category. Boundaries of the park include within 3,500 square kilometers of land, mostly above 4,000 meters. 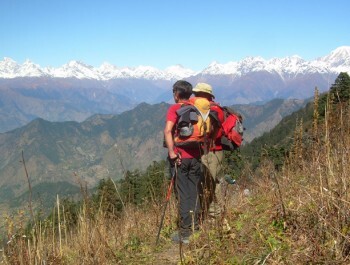 Before 1989, when the southern regions were opened to trekking groups, very few explorers had visited the area. 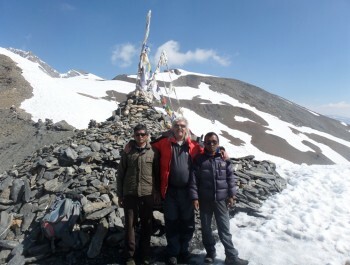 Two notable visits were the first mountaineering expedition by Dr. Herbert Tichy in 1953 based in Kaigon and the other visit by John Tyson in the early sixties. 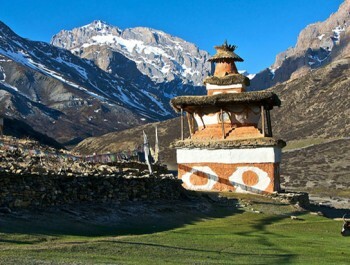 Dolpo is one of the most beautiful treks in the remote areas of Nepal, very rarely visited by outsider. During the Upper Dolpo we start from Jhupal village, we begin this wonderful adventure, encountering interesting places, people, villages, valleys and serene forest of pines, oaks and rhododendron, the trek passes many gigantic mountain ranges and over the Numala pass at 5,400m till we reach the Phoksundo lake at Ringmo village in the "Phoksundo National Park".